Eurovision Club Germany held their annual 2017 Eurovision Convention in Gloria Theatre of Cologne, Germany with the particiaption of five Eurovision acts, two of them being Winners of the Eurovision Song Contest. Anne Marie David (Luxembourg 1973) and Nicole (Germany 1982). Further acts were all from the Eurovision Song Contest 2017 which was staged in Kyiv, Ukraine: Brendan Murray (Ireland 2017), Norma John (Finland 2017) and the Sunstroke Projects (Moldova 2017 & 2010). 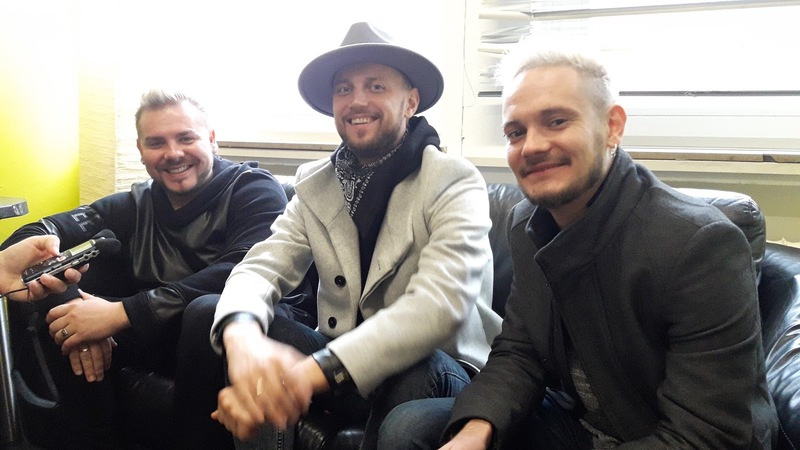 In this clip see the interview that Sunstroke Project gave to Eurovision Radio International at the Eurovision Club Germany's annual convention 2017. The Sunstroke Project represented Moldova at the Eurovision Song Contest twice. First time in 2010 with the song "Run away" supported by Olia Tia and then again 2017 in Kyiv, Ukraine with the song "Hey Mamma" coming 3rd.